Borrowing money get’s a bad rep in the media. It’s true to say that if you borrow from the wrong place or a non reliable source, borrowing can damage your finances. But, if you borrow from a trusted source and not a loan shark it can be a valid way of getting more money. It’s particularly useful if you think you’re not going to make the payment on your bills one month. So, let’s look at some quick ways you can avoid going bust borrowing money. The first thing you must consider is the levels of interest. If they are too high, the loan will plunge you into more debt, even as you try and pay it off. Most respectable borrowers will instruct you on how much interest you’ll have to pay before the end of the loan. By making this calculation, it should be possible to guarantee staying in the green with your finances. A respected lender won’t charge you hidden costs on a loan or any additional fees. Instead, the money you pay will be laid out clearly, and that’s exactly what you want. You don’t want to find out months from now that actually, there were a few bills added on. Next, you need to think about how the loan could affect your credit rating. Your credit rating determines your chances of being able to borrow again. It can also affect several other aspects of your financial well-being. So, it’s important that it stays healthy. 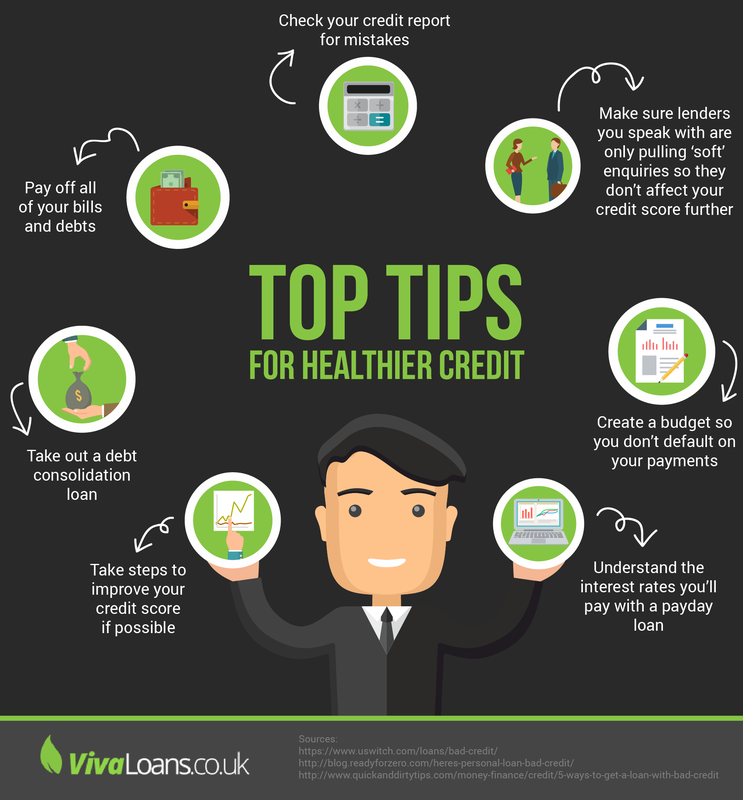 The infographic below highlights how you can improve your credit rating even after it’s been damaged.